It was the perfect day for pictures…said none of us, as the day was shaping up to rain. Lowren, the beautiful pregnant momma below, and I texted back and forth about the rainy forecast and cloudy skies. We ultimately decided to chance it, and we were so happy we did. The rain clouds created two beautiful rainbows, wild winds, and the perfect maternity session. Sunny grew up just around the corner from Table Mountain and told us about how he used to ride his bike to the covered bridge just down from the top of the mountain. 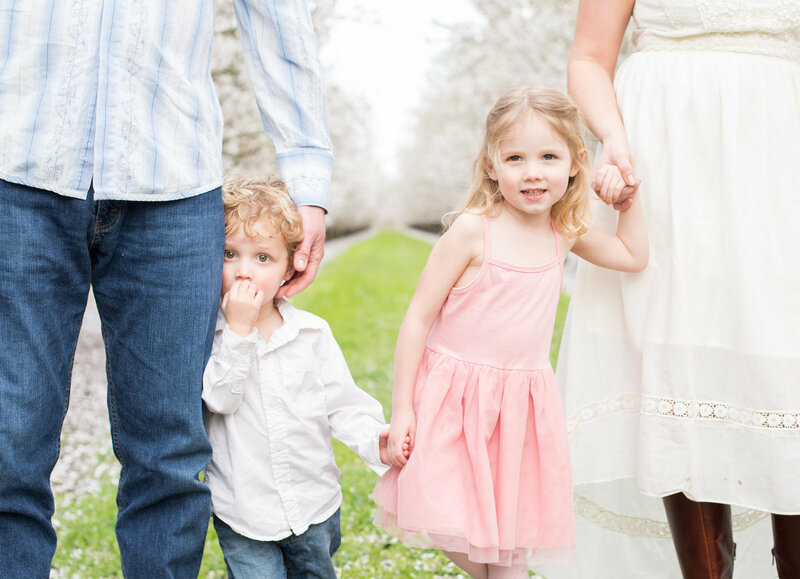 We knew that would make a perfect first stop for this gorgeous family of three, soon to be four’s, maternity session. After our stop, we headed up the hill for the rest of our time together. We were greeted with gorgeous weather, a wild wind that blew Lowren and Maya’s hair perfectly and created the most beautiful lift in Lowren’s lace robe (insert heart-eye emoji x 10), and an overall wonderful session. Thank you, Lowren, Sunny, and Maya for a great evening! I can’t wait to meet baby number 2!